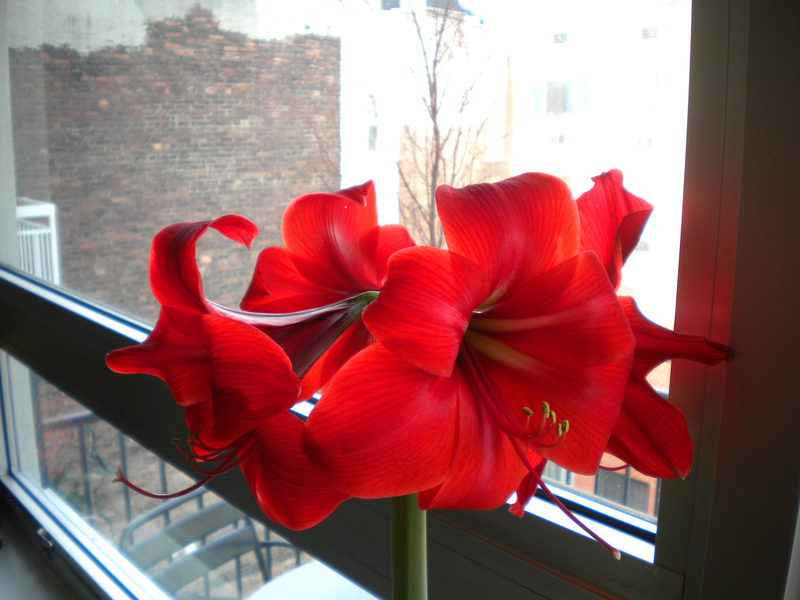 My brilliant red Amaryllis is in full bloom for Valentine’s Day. How perfect! 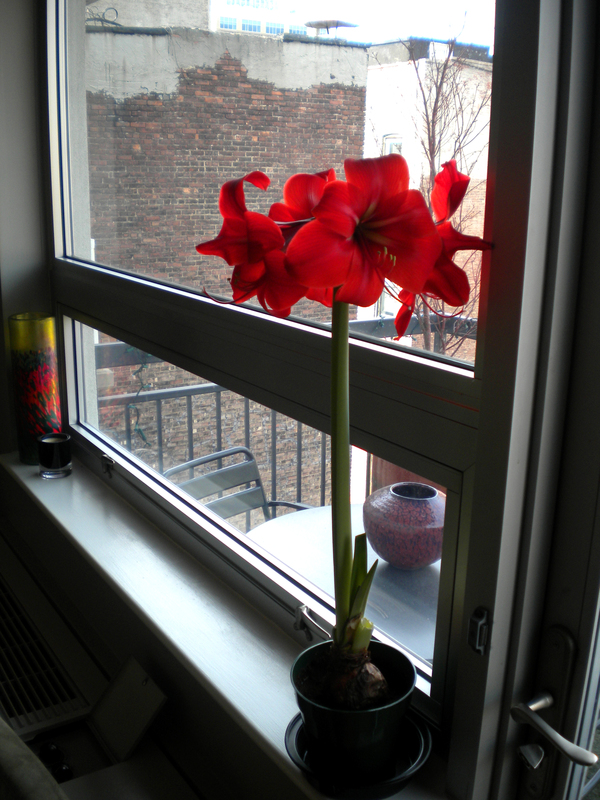 Mental note for next year, plant your bulb in the beginning of January and yours should bloom right on cue. I have to say, that roses are nice for Valentine’s Day, but it’s much more fun to see the brown bulb grow into this gorgeous spectacle.